This section will present various publications and documents written by several authors. Canada was originally the French colony of New France, which comprised the range of territory as far west as the Mississippi, including the Great Lakes. After the war of independence it was confined to what are now the provinces of Quebec and Ontario—then known as Upper and Lower Canada. 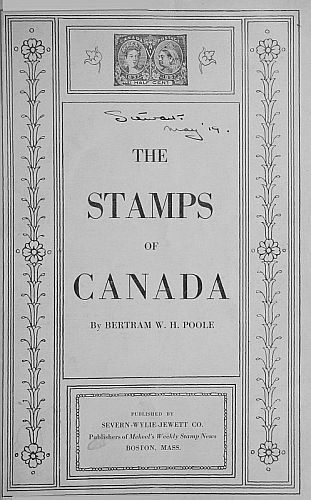 At the confederation (1867) it included only these two provinces, with New Brunswick and Nova Scotia; and since then it has been extended by purchase (1870), by accession of other provinces (British Columbia in 1871 and Prince Edward Island in 1873), and by imperial order in council (1880), until it includes all the north American continent north of United States territory, with the exception of Alaska and a strip of the Labrador coast administered by Newfoundland, which still remains outside the Dominion of Canada. On the Atlantic the chief indentations which break its shores are the Bay of Fundy (remarkable for its tides), the Gulf of St. Lawrence, and Hudson Bay (a huge expanse of water with an area of about 350,000 square miles); and the Pacific coast, which is small relatively, is remarkably broken up by fjord-like indentations. Off the coast are many islands, some of them of considerable magnitude,—Prince Edward Is., Cape Breton Is., and Anticosti being the most considerable on the Atlantic side, Vancouver and Queen Charlotte Is. on the Pacific; and in the extreme north is the immense Arctic archipelago, bound in perpetual ice.